Research and publication is a vital part of our study now. Every university and institution is now emphasizing about attending one International and National conference. There are many organizers and learning societies are organizing various international and national conferences across the India. 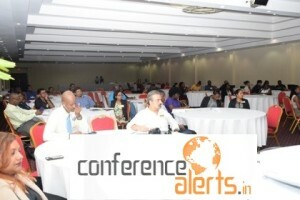 According to a study most of the organizers prefer to organize the conferences in big cities like Mumbai, Chennai, Bangalore, New Delhi, Hyderabad, and Pune where the number of participants is more and the quality of research papers is also good. Students and research scholars prefer to attend the conferences in such cities instead of small city. If your are planning to attend some of the international conferences in 2018 in such big cities then keep these following five points in your mind. 1. Plan to attend the conference much before. If you are planning to attain some conferences then you must prepare your paper and prepare yourself much before at least 50 to 60 days before. All upcoming conferences are listed in www.conferencesalerts.in where you can find the information about the conference much before. 2. Plan the travel dates according to availability. If you planning to travel form a small city a big city then do check the availability of the tickets for Bus, train, flight or any other medium according to your convenience. If the Conference is for more than one day then you need to stay there. So plan accordingly. Use your free time to learn something and meet the speakers personally. 4. Take confirmation about the event. As you are spending some money while registering the conference so it is very essential to complete formalities to attain the conference and take a written confirmation from the organizer about the conference. Note the venue, contact person, timing of the conference, schedule etc. before leaving the conference. After attending the conference always try to take some photos for your future memory and take the contact details of the post conference coordinator if any.